What's the Best Sound Card for Gaming? 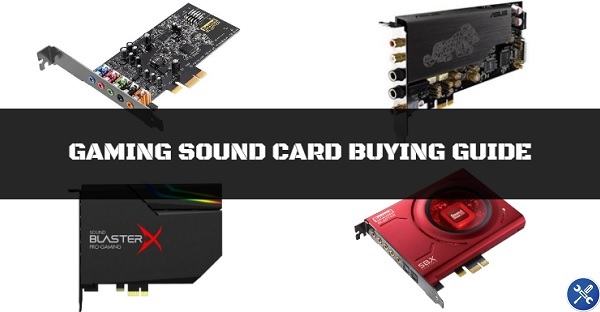 In this beginner buying guide we'll explain what you need to know to choose the best sound card for gaming, but first and foremost, whether you actually need a sound card for your gaming PC in the first place? Modern motherboards contain built-in/onboard audio capabilities which have gotten better and better over the years, to the point where in 2018 it's all you need for a high-quality audio experience for your favourite PC titles. In other words, buying a dedicated sound card for your new PC build is totally optional. Let's explain further, and also cover the best sound cards for gaming right now (in our humble, objective opinion) for those who do indeed want to buy one. Should You Buy a Sound Card for Your Gaming Computer? Simple answer for 95% of gamers? Nope, you do NOT need to get a sound card and it's not recommended for most PC builders. Why? As mentioned, modern motherboards come with very good onboard sound that'll please most gamers - unless you really buy a dud motherboard that has low quality audio but that's hard to do these days if you simply choose a good motherboard that's at least half-decent). 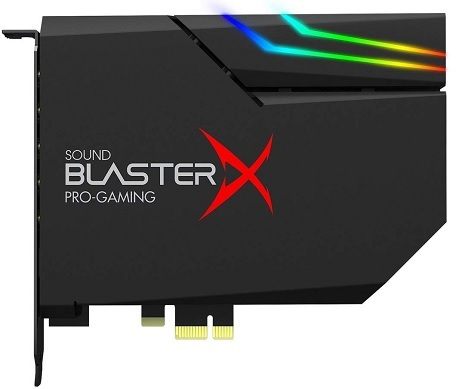 So when does buying a sound card for gaming make sense? If you're putting together a luxury high-end or extreme gaming PC and want all the bells and whistles that you can get, and you want to fully maximize your audio quality by also getting the best gaming headset or gaming speakers you can afford, then and only then should you consider including a sound card for your build to replace your motherboard audio. Otherwise, you're better off putting that money to better use such as towards a Solid State Drive, or towards getting better core components such as a better CPU, graphics card, RAM, case, etc. 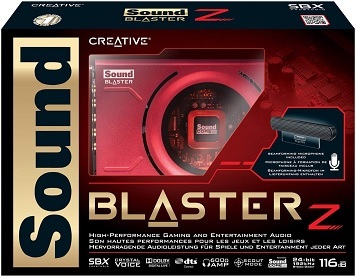 As well as for high-end gamers with money to burn, we should also mention that sound cards are a good buy if you're doing some sort of audio production or professional work related to precise audio, but if that's you then you'll probably already be aware that you need a good sound card. When thinking about how to choose the best sound card for your needs, you may want to consider the following specs/features. Just keep in mind that it's not crucial to know about or even care much about these specs; but they do come in handy when getting into the nitty gritty of comparing specific models. Channels - Your choices are 5.1 or 7.1 channels, and either will do just fine for gaming. Just makes sure if you're getting a 7.1 speaker system to get a 7.1 compatible sound card to take full advantage of the extra channels. SNR - The Signal to Noise Ratio is just one of a few different specs that hint at the overall quality of audio. Technically it's a measurement of the usable signal that your sound card can produce above the volume of background static that electrical hardware produces. Sound cards generally have an SNR around 80 - 130 dB, and the higher the better. There's no set minimum to shoot for though, so just use it as one way to compare different sound cards and their quality. Sample Rate - A measurement in kHz on how many times a sound stream sends data over a period of time, and the higher the better the overall audio quality will be in general. Most good modern sound cards will be over 96 kHz. THD - The Total Harmonic Distortion measures sound distortion and the closer to 0 the better. Premium sound cards will have a THD as low as 0.001%. Again, there's no set number to shoot for but it's another way to compare models. 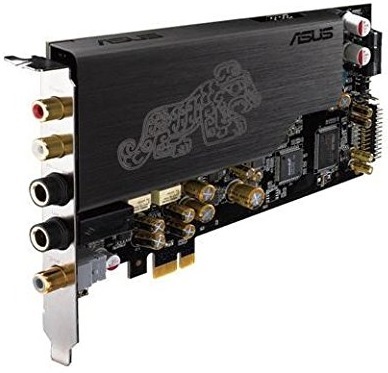 As for picking a sound card that's compatible with your computer, there's really nothing to it. 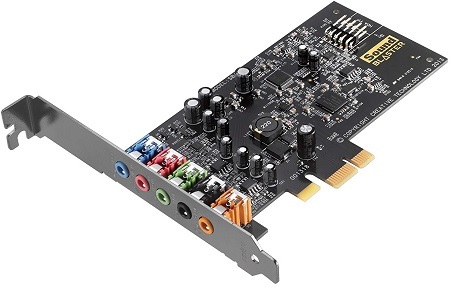 Modern sound cards come in with PCI-E (PCI Express) or PCI format, so it's simply a matter of ensuring your motherboard has a spare PCI-E or PCI slot free for your new sound card to live. For a sound card, either of these formats is fine as well. Let's now get into our top recommended, hand-picked sound cards for gaming for various price ranges that we believe would be a solid choice for your gaming rig should you decide that a dedicated sound is for you. Remember, for those who have perhaps skipped ahead to this section, as explained above most gamers will NOT need a sound card for their PC as onboard motherboard audio is good enough for most people.